Need some Valentine’s Day gift inspiration? Why not try making a homemade gift this year! 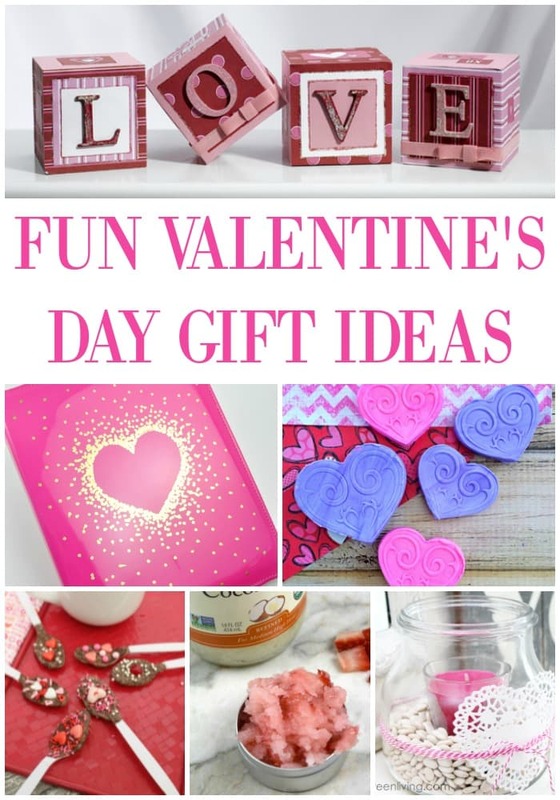 Here are some gift ideas that are sure to please anyone on your Valentine’s Day shopping list. 1. This Strawberry Face Scrub is a simple homemade gift for any woman in your life. 2. These Love Cubes are sure to be a big hit! You can personalize them any way you’d like. 3. These Valentine’s Day Chocolate Spoons are a fun gift for kids & adults! Give these spoons along with some hot chocolate mix for a sweet gift. 4. Need a homemade Valentine’s Day gift idea? Give these DIY Heart Magnets a try! 5. If you have someone in your life that loves champagne, make these Confetti Champagne Glasses. 6. Have someone special in your life that loves to cook? Why not make these Wooden Spoons? 7. Here is a really cute Lollipop Frame Idea, perfect for pictures of the kids or grandkids. 8. This DIY Heart Journal is such an awesome and thoughtful gift. 9. Loving this Easy Valentine’s Day Jar Candle! 10. You can’t go wrong with this Glitter Jar Mug. What a cute gift idea! Thank you for sharing the LOVE Cubes from CraftsnCoffee.com. Happy Valentine’s Day to you! XO!